I am very passionate about gardening. As soon as my husband and I moved into our first home, we planted our own garden. We had a mobile home with a huge corner lot and had the biggest garden that we have ever grown. A lot of things did not grow well because it had a lot of clay in the gardening area but I remember having a lot of spaghetti squash, zucchini and tomatoes. When we bought our current home, we right away found a place to plant our garden. It is much, much smaller than our first garden but has the best, best soil! We only have 6 tomato plants, homegrown lettuce and 2 bell pepper plants. Our tomato plants grow so many tomatoes that it's crazy. I am usually able to make huge batches of salsa and pasta sauce to can to enjoy all winter long. We are super lucky to have all of these delicious homegrown tomatoes. The peppers are full of flavor as well and are super crispy which we love. 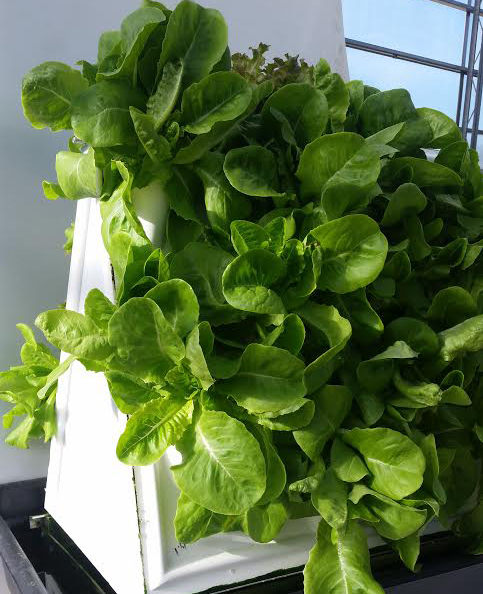 We love snipping fresh lettuce for dinner every night- we have experimented with different kinds of lettuce and like a romaine blend best. This past spring, we got Adalyn into gardening and she was excellent at watering the plants and helping us out plant the garden. This spring, I think that she will enjoy it even more because she loves to help us out and loves to eat fresh produce. We live in Michigan and the growing season is really only from about July to October for our beloved homegrown vegetables which is so sad. When we finish our last garden tomato each year, I immediately start longing for the delicious, red tomatoes from the garden. My brother recently was talking about doing indoor gardening and it got my intrigued. What if I could grow my own produce in my house during the cold Michigan winters? That sounds so amazing! As a registered dietitian and vegetable lover, growing my own produce inside is super appealing. I recently learned about Organiponic which is a company that has 12-24 plant systems that you can grow in your home. Imagine it snowing outside and you can just pick some fresh lettuce for dinner that night. I'm getting too excited thinking about it! 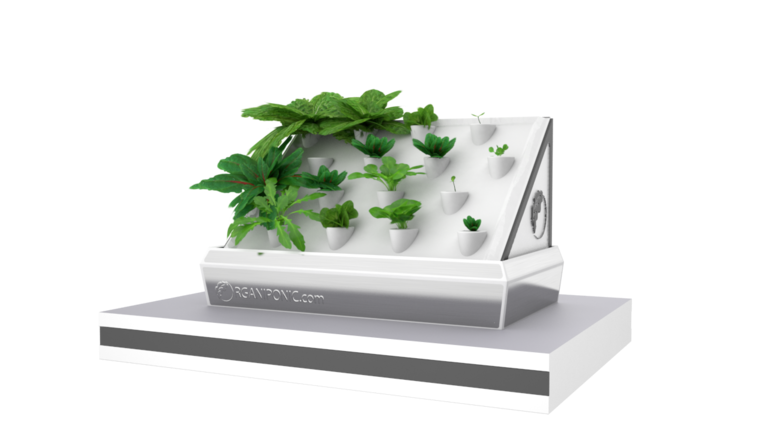 Organiponic is a new company that plans to sell a monthly subscription "grow kit" so that you can grow lettuce, greens and herbs right in your home. Their goal is to provide clean, sustainable and better-quality eating by letting people grow their own produce year-round. They have different sized units which are beneficial for different people depending on their needs. 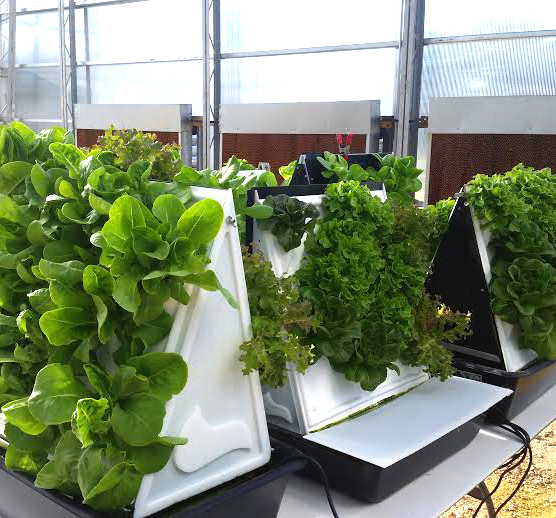 Each unit can grow 12-24 plants at a time which is larger than many other systems. Those units cost $0.60-$0.70 cents per plant to grow compared with other brands which cost $2.50 and above. Eating healthy is so important to me and Organiponic helps to make healthy eating easier. If I spend the time to grow something, I am definitely going to make sure to eat it! You can also save money with this unit. 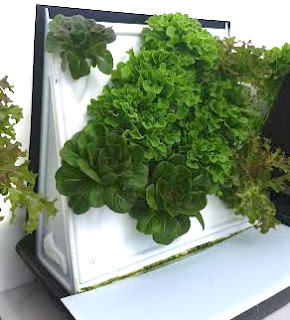 It uses 90% less water and has 70% less produce cost compared to other growing methods. Some of the things that you can grow with the Organiponic systems are romaine and bibb lettuce, kale, spinach, chard, basil, mint, oregano, cilantro, etc. You can also grow mini tomatoes, mini Chinese cabbage and strawberries. I would be so excited to have strawberries growing in my home Organiponic is currently raising funds through Crowdfunding to get their business going! If this is something that interests you, please consider helping to back them. Disclosure: This post is sponsored by Organiponic. All opinions are my own.